My photographer friend, Aleena, took these back in September. On this hot summer day it’s hard to believe I was wearing jeans just three months ago. During the cooler months my go-to outfit is a button up shirt and jeans. I lived in this combo during winter and our US trip. I love Sydney and there’s nothing more iconic than the harbour. 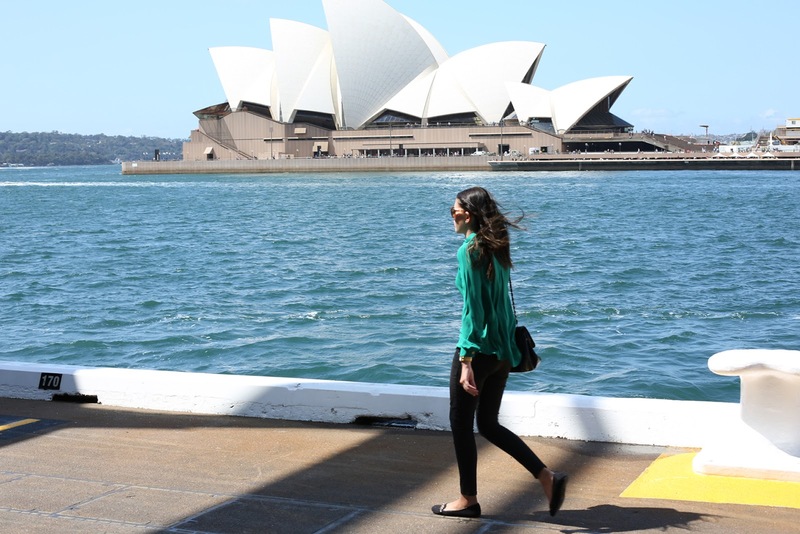 Dining along Circular Quay is always a must when visiting and, of course, a trip to Bondi. I’m hoping to get back there in January so watch this space. these pictures are so pretty! 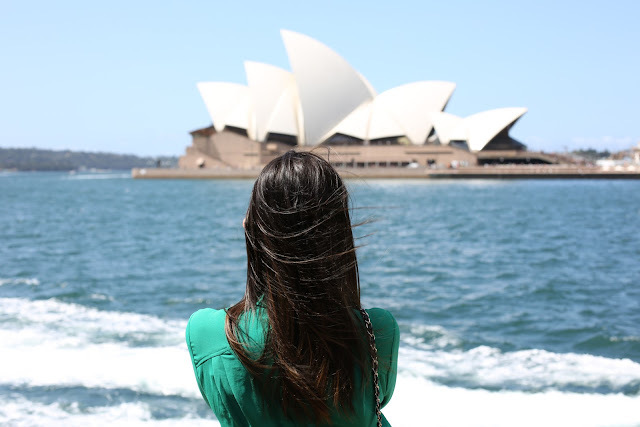 I would love to go to Sydney one day! Sydney is beautiful, you must go! I LOVE THE HARBOUR :). I am so FOLLOWING. I hope you can check out my site: http://theproverbs.net and follow as well. So we can keep posted on each other. Thanks for your time. Hope to hear from you soon...God Bless! Beautiful! I haven't been to Sydney since I was about ten but I'd love to get back there soon. wow freat photos! love it so much! lovely photos the backdrop/location is so beautiful. love the color of your blouse too. The second photo is so lovely! This outfit is absolutely gorgeous, you look so pretty in it. I agree - jeans and a shirt is always a very cool combo :). Great captures. Hey, thanks for your lovely comment on my blog, it means a lot. You've got a great blog.